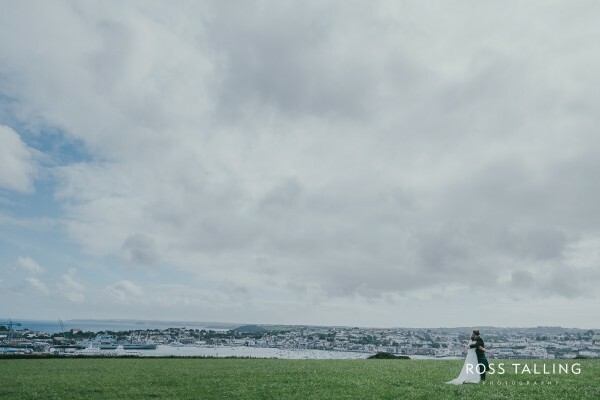 On a wonderfully windy headland overlooking the Falmouth and the Carrick Roads, Heather and Al chose to celebrate their wedding on the Trefusis Estate. Surrounded by their closest friends and family, their outdoor ceremony was a fun-filled family occasion with some wonderful unique touches. 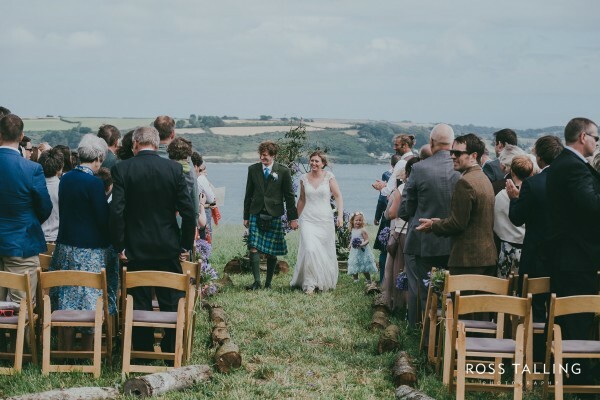 The weather had been very wet during the week prior to the ceremony, but the day dawned bright and blustery. 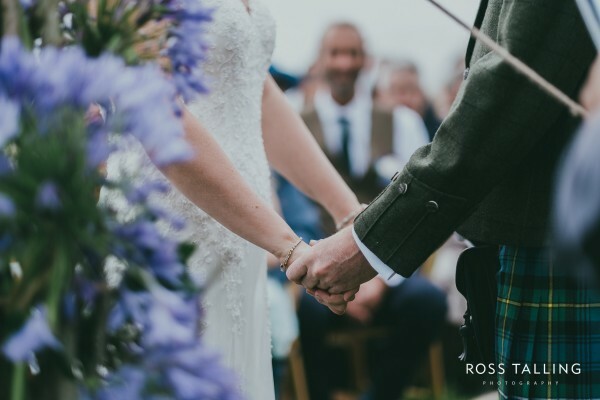 On site the couple had positioned a beautiful twisted willow and floral arch as the focal point for their ceremony. The wind began to gust quite strongly in the hour before we were due to perform the ceremony, so we decided that it would be best to do a last minute improvisation with some guy ropes to stop the arch from blowing down. Despite the weather, their ceremony was a beautiful occasion, one which will be treasured. 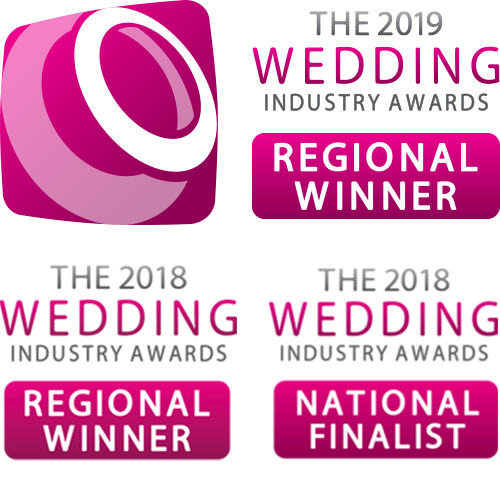 After the ceremony we helped to move their ceremony chairs into the marquee ready for their reception whilst a male voice choir sang to guests as they enjoyed their reception drinks. We donned our wellies to walk back to the car as the parking area was getting very muddy, and as we drove off the field we did begin to wonder if we would make it off the field in one piece! Luckily, although we went sideways through a gateway we made it to the road without a scratch on the car or us! It was a beautifully fun day, one that we felt very lucky to have been a part of. 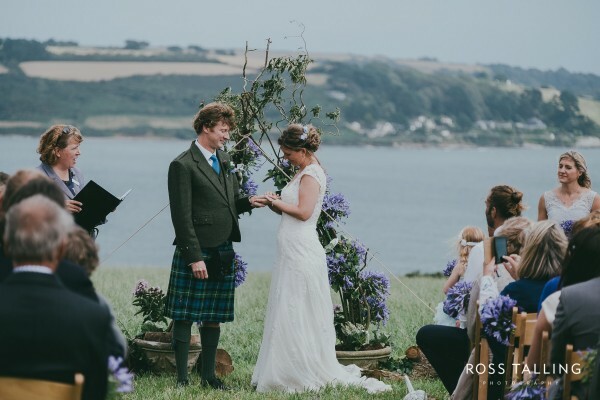 We were delighted to be recommended as Celebrants to Heather & Al by Hailey from the Little Cornish Wedding Company and it was a pleasure to work with her on the day.